The provinces of Cusco and Apurímac belong to the core areas of the old Inca empire. To this day, the people in the villages speak the Quechua language. There are about six million Quechua living in Peru. Their religion is a mix of the traditions of the Inka and the influences of Catholicism. The Bible, the word of God, was mostly unknown, even more so the good news. About 30 years ago, our missionary and coordinator Adrián Campero started to preach the good news to his people. 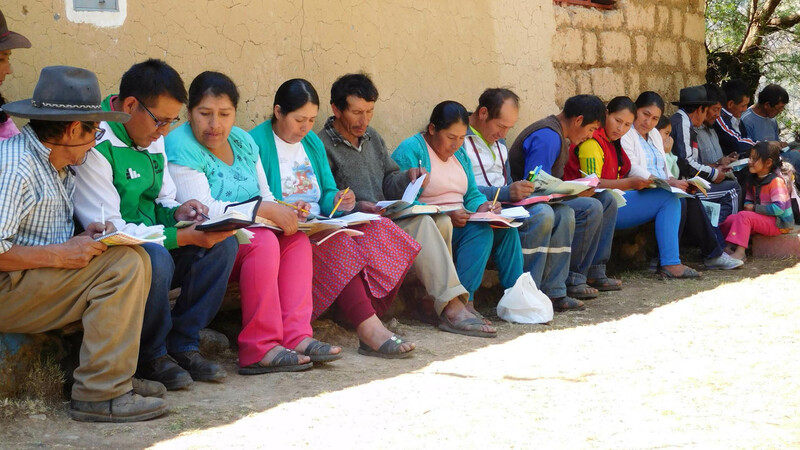 Together with his team, he coordinates the mission work and designs the trainings for the pastors in “Quechua style”. They are being adapted to their culture and lifestyle. 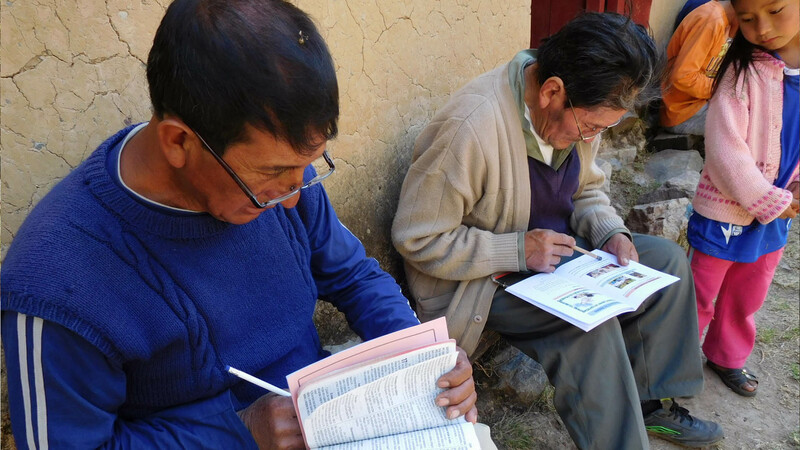 The training material is being put together especially for them in the Quechua language. That must be the reason that the hearts of the people are being reached. 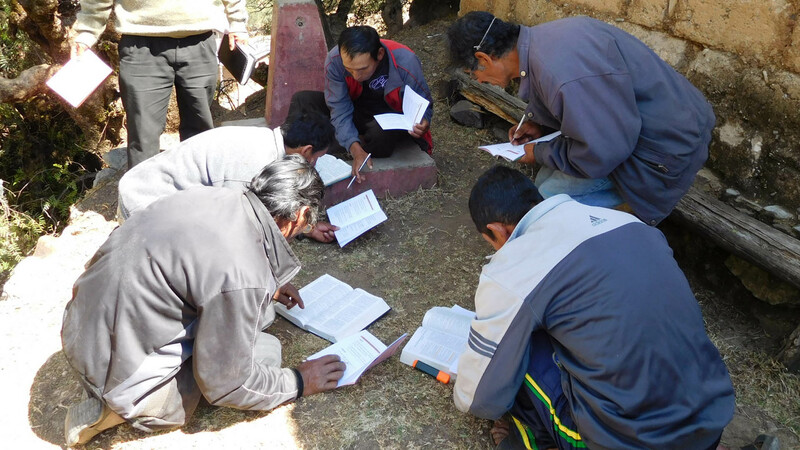 About 60 Quechua pastors and missionaries are in use and are being trained and supported by Adrián and his team. These missionaries encourage, and strengthen the churches and are helping them to fulfill their great commission. In the next ten years, our Peruvian brothers and sisters want to bring the good news to 50 other villages and plant churches there. They need more and better trained missionaries and pastors for that. A strategic vision was developed for the next couple of years: The trainings for pastors and missionaries will be intensified, and they will be set up more systematically, more extensively, and with more content. That is why the “Quechua Baptist Bible Seminar” was formed. It shall reach the status of an officially recognized vocational training for pastors. This way they receive a good basis for their church work. Classes start at the beginning of 2018 and are taking place in blocks of for example one week a month. The seminars will be held in three locations, in Abancay, Curahuasi, and Yanaoca. In the summer of 2017 there were already 130 brothers and sisters registered for the first course. We are happy that the Quechua Baptist Bible Seminar will be partnering with theological seminary of Pioneira in Ijuí, Brazil from the start.